Take Exit 72 off of Interstate 94, a few miles east of Dickinson in the western part of North Dakota. The Geese is Flight sculpture is a dead giveaway you're on the right path. 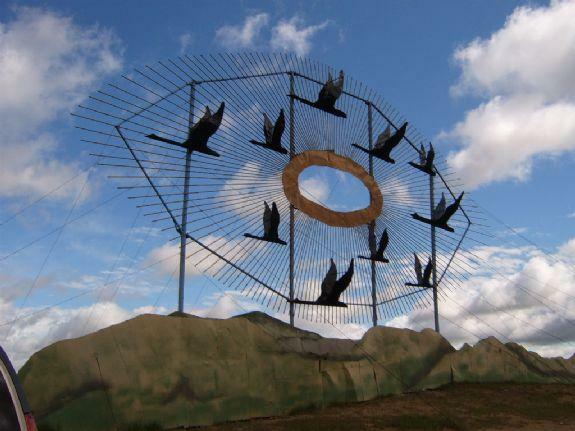 Head south through Gladstone to Regent and look for the sculptures every few miles. You can't miss them.